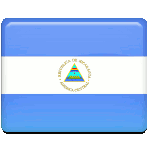 Independence Day is a national holiday in Nicaragua. This day celebrates the anniversary of declaration of independence from Spain in 1821. The Spanish conquistadors came to the territory of present-day Nicaragua in 1524. The first Spanish settlements, that later became two principle towns of Granada and León, were founded by Francisco Hernández de Córdoba. Córdoba defended his settlements from other Spanish conquistadors, who also laid claim to these territories. Later present-day Nicaragua became a part of the Captaincy General of Guatemala. The independence movement began in the Spanish colonies of Central America at the beginning of the 19th century. It lasted for a decade, when finally Nicaragua and other territories of the Captaincy General of Guatemala declared independence from Spain on September 15, 1821. Shortly after declaration of independence Nicaragua became a part of the First Mexican Empire. It gained independence in 1823 and formed the Federal Republic of Central America with Honduras, El Salvador, Costa Rica and Guatemala.